Here you have it! One of my favorite summer meals. This recipe can be and appetizer served with tortilla chips or a main dish served with romaine lettuce. All the enzymes of the raw fruit and vegetables will keep your skin glowing and nourishing your body! For a more sophisticated presentation, you can add cooked shrimp to your wraps! 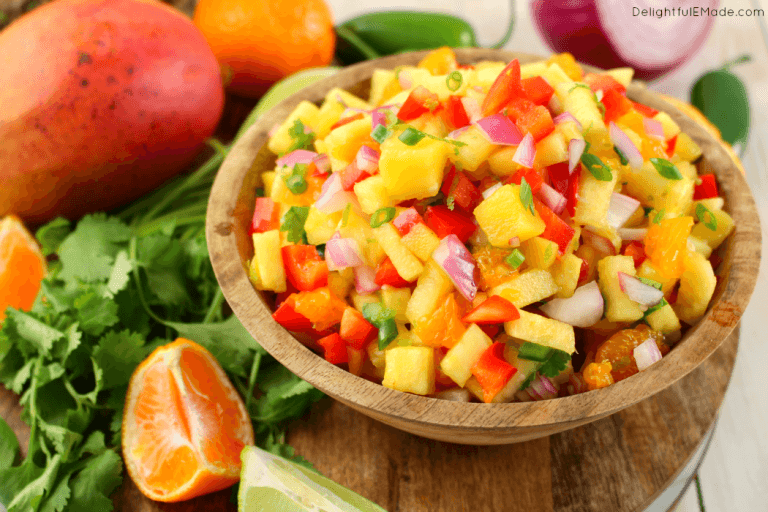 A refreshing combination of fruit and vegetable summer salad. Combine all ingredients in a medium bowl, stir to combine. Using a large scoop add some to each romaine lettuce and make then into a wrap. NOTE: For a more sophisticated presentation, you can add cooked shrimp to your wraps!